There aren’t many scooter brands out there that are as iconic as Vespa’s. The brand is instantly recognizable and classic. These are vehicles that everyone knows on sight. In fact, the brand continues to be popular today, with many loving the old design. Well, if you are environmentally-conscious, there is some good news for you. Vespa has announced that they are planning to release a fully electric version of its classic scooter called the Elettrica Concept. All of the retro good looks, with modern technology. So you are getting the best of both worlds. 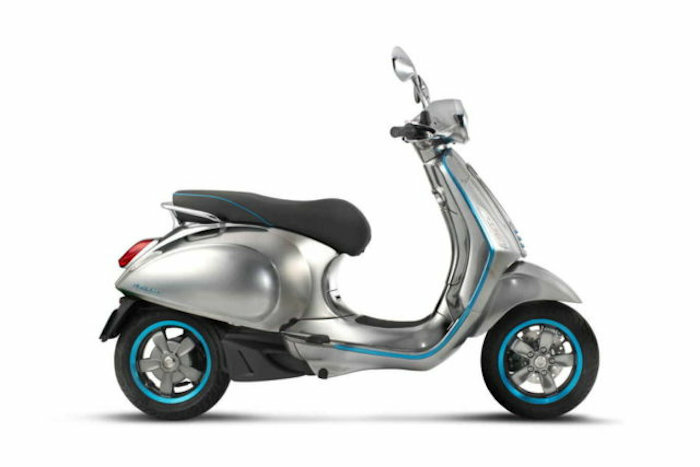 The design of the scooter is pretty much the same as you remember, the main difference being that it will be electric and will not run on gas, because they swapped out the gas tank out for a modern electric motor. We don’t have many other details just yet, like pricing, availability, the range, how long it takes to charge, and other features. It may very well be priced toward the higher-end if we had to guess. Vespa did say that production is expected to be available in the second half of 2017, so we have a bit of a wait before we can actually buy one anyway.